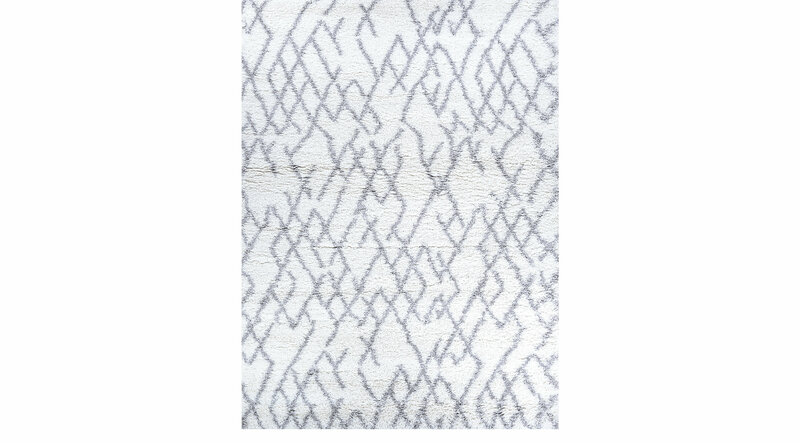 Complement your interior space with the unique look of the Slyne rug. Featuring a geometrical pattern in light gray against a white background. Constructed of 100% of Heat-set Courtron polypropylene. Spot clean only.